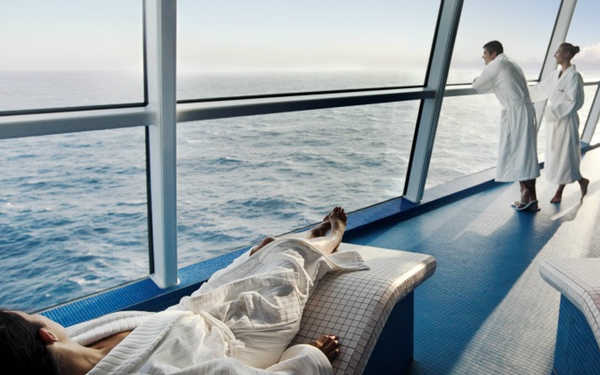 As part of Royal Caribbean International, Celebrity Cruises operates 12 ships, all offering what they term ‘Modern Luxury’. Guests are treated to a $60 million art collection (complete with iPad gallery tour), one of the largest and rarest wine collections at sea and liners complete with real grass croquet lawns and unique ice-topped bars. This level of sophistication attracts an AB demographic with a higher income than the average cruise passenger. So a straightforward discount programme was never going to be attractive. Instead, we developed a strategy centred around ‘money can’t buy’ experiences in keeping with the tone of their existing loyalty programme, Captain’s Club. 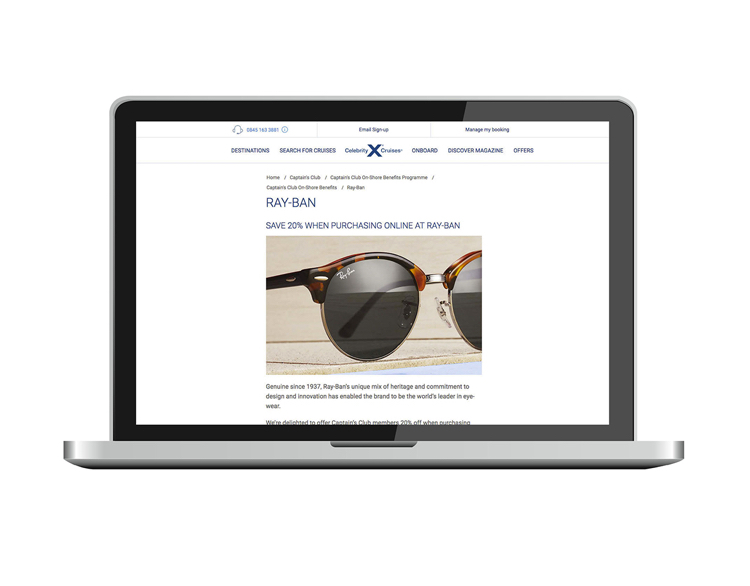 Armed with a solid strategy we approached peer brands that would truly delight the audience seeking the ‘Modern Luxury’ experience. 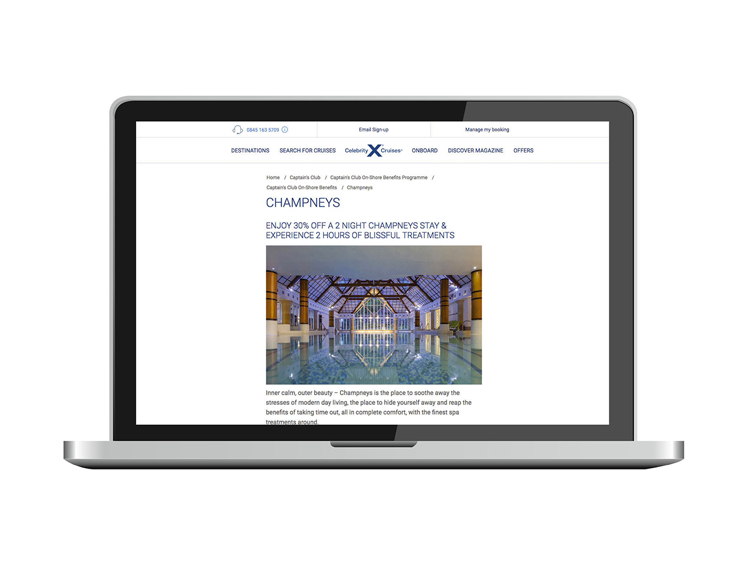 Health resort operator Champneys, luxury online department store The Hut and the premium hotel chain QHotels all came on board. To reinforce the ‘money can’t buy’ strategy, ATG Tickets, as part of the Ambassador Theatre Group, are offering Captain’s Club members special access to ‘meet the cast’ experiences after theatre performances enjoyed in the most premium of seats. Once again, the focus was on delivering a win-win-win for Celebrity Cruises, the partner brands and the affluent member base. 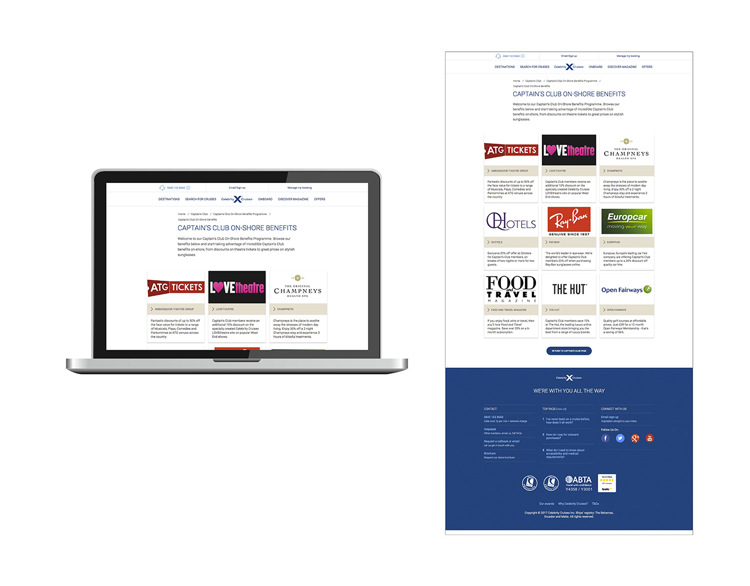 “Bedrock developed our new On-Shore Benefits programme, designed to compliment our existing Captain’s Club loyalty scheme. They partnered us with luxury brands favoured by our affluent guests, offering them bespoke packages, discounts and money can’t buy experiences.